You might remember A. C. Dillon from last summer when she guest posted here about her work in progress. I was excited to hear about this new work as I had read an unpublished story of hers and loved it. A. C. Dillon creates great characters. I loved Autumn, Veronica, and Andrew. Even the minor characters of Emma and Evan were well developed. 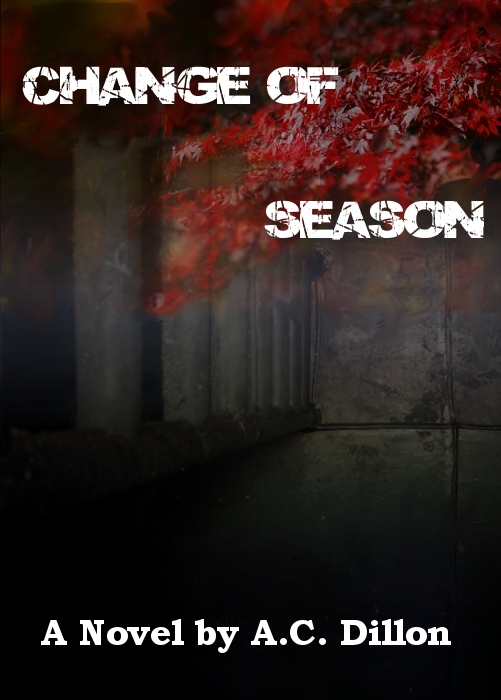 In Change of Season, Dillon weaves a suspenseful tale that incorporates mental illness and the stuff of urban legends. However, what's happening at Casteel Preparatory Academy is more than just school lore. Autumn heads to boarding school to escape from an abusive dating relationship, but soon finds herself in the middle of something straight out of a horror flick. Is room 308 truly haunted or is it just another symptom of Autumn's PTSD? Pop culture references are abundant and will be fun for those into music, movies, and literature of our time. For me personally, I thought there was a bit too much reliance on these references. But true to the references, Change of Season was a mash-up of A Beautiful Mind and the horror spoofs such as I Know What You Did Last Summer. While not typically a fan of character names that are odd or I'm not sure how to pronounce, Miraj was brilliant. I knew from reading A. C.'s unpublished story that she tends to write long stories and Change of Season was no exception. And while I was impatient to get to the end of the story, I can't pinpoint an instance of where a scene could be cut or even a spot where the story dragged. If you are like me and want more than fluff for your summer reading or perhaps you are a reader from the southern hemisphere and want a chilling tale to curl up with, then you will want to spend the winter with Autumn and her friends at Casteel in Change of Season.